If you really love the Philippines, you should admit that the 1987 constitution is flawed and needs to be amended for the betterment of the Filipino people. I am really disappointed with your stand that we need no constitutional amendment to gather more foreign investments for our country and in fact, you even said that retaining the 60/40 equity restrictions will assure Filipino shares in any foreign investment projects which for me was wrong as forcing any foreign investors to find a Filipino partner who rich enough to front the 60% of a foreign investment project or transaction would never assure the financial security and flexibility on the part of foreign investors to utilize his/her investments as much as possible as he/she have to abide what the Filipino partner says. 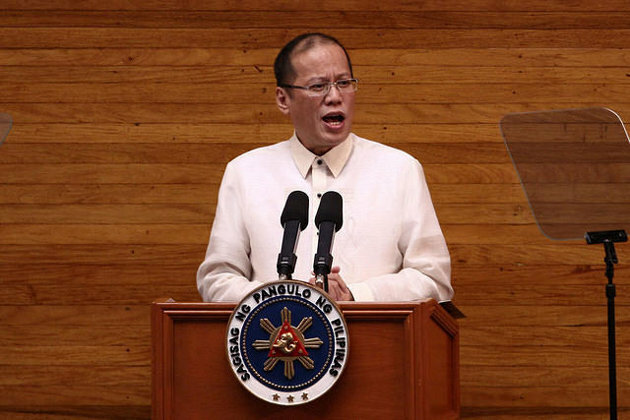 Mr. President, to whom Filipinos you referred? the common people or your financiers who rich enough to swindle 60% of foreign investments. Many countries around the world like Argentina, Brazil, Cambodia, Canada, Chile, China, Colombia, Czech Republic, France, Georgia, India, Indonesia, Ireland, Japan, Kazakhstan, Korea, Malaysia, Mauritius, Mexico, Peru, Poland, Russia, Singapore, Spain, United Kingdom, and the United States allows 100% foreign equity ownership of businesses at most of their economic sectors including mining, oil and gas, tourism, manufacturing, transportation, telecom, infrastructure, banking, and electricity sectors which are crucial to our future economic growth and these sector really needs 100% foreign investment participation as our own local companies doesn’t have enough capital, technology, and expertise. Mr. President, there is no enough valid reason not to support the initiatives to amend the restrictive economic provisions of our 1987 constitution in Article XII, section 2, 11 and 12 in particular where the 60/40 equity restrictions are being stipulated if you really care the Filipino people not your financiers during the 2010 presidential campaign. For the last 77 after that 60/40 equity restrictions being stipulated by our Founding Fathers like Manuel Quezon and Claro M. Recto in reaction to the Great Depression that time, our country became an economic laggard to the point that our country is one of the poorest in Asia as the rest of the world catches-up the standard of living of the United States and Europe through the usage of FDI and export oriented economic model in contrast of ours that we used the import-substitution economic model where we have to protect our own local industries from foreign competition regardless of the inefficiency of our own local industries and also breed a massive dependence on IMF/World Bank loan to finance the import-substitution economic model and therefore, breeds corruption among the government elites. The restrictive economic provisions of our 1987 constitution is contributing to further and complex problem that our country plunging right now that is the severe unemployment and underemployment due to lack of competition in our job market as foreign investors are being driven out in our domestic economy and the local investors cannot provide the necessity of our growing labor force due to lack of capital and technology as foreign investors are reluctant to have a large-scale partnership with any local companies due to the notorious corruption in the Philippine business sector. If you, Mr. President wanted to have a real economic, political and social prosperity just just for today but also forever in our lives, let us support the initiate of Juan Ponce Enrile and Feliciano Belmonte of amending the restrictive economic provisions of our 1987 constitution.